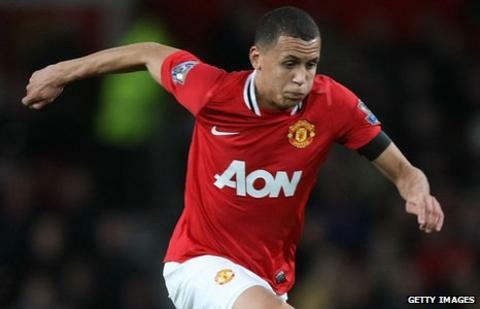 Manchester United have rejected a bid from Newcastle for 18-year-old midfielder Ravel Morrison. Morrison, whose contract runs out at the end of the season, scored twice in United's 2011 FA Youth Cup final win. However, the youngster has failed to make a breakthrough into the first team as anticipated, leading to the Magpies making a move. United boss Sir Alex Ferguson said: "We have offered him terms, which he has refused. His demands are unrealistic." He added: "His agent has been working hard to get him another club." Morrison is widely regarded as one of the best young players to come through the ranks at Old Trafford since Paul Scholes and excelled when playing in the FA Youth Cup. He made a name for himself when he scored in United's FA Youth Cup defeat to Chelsea in November 2009 while still only 15. The 18-year-old played a vital role as the club's youth side beat Liverpool, Chelsea and Sheffield United to win the FA Youth Cup last year. In 2010, Ferguson promoted him to the senior squad and brought him on in the closing stages of the Carling Cup win against Wolves for his senior debut. But away from the pitch, Morrison has had a chequered history. Two days after the 2011 FA Cup Youth final, the 18-year-old was fined £600 by a court for throwing his girlfriend's mobile phone through a window during an argument.